We have some sweet events at Curds and Wine this month! We are hosting a Beekeeping workshop with members of the San Diego Beekeeping Society on Saturday March 9th, a great way to get inspired to harvest your own honey! We also have a new Hands-on Mead Making workshop, learn the history of honey wine and make your own batch! More information on these events below. For those of you that don't have your own bees, Curds and Wine now has several types of honey in stock for your meadmaking or accompanying your favorite cheeses. It's not too early to get ready for Holiday Season 2014! Come to our free Disgorging Demonstration, where you learn how fine sparkling wines are really made - see details below. 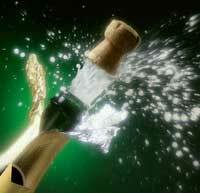 You can always make sparkling wine any time on site at Curds and Wine - contact us to make an appointment! Please be sure to list Curds and Wine as your Winemaking Retailer and U-Vint/On Premise Store! Our customers have always done very well in competitions, let us know if you do win a medal! Curds and Wine now carries 3-bottle and 6-bottle recycled pulp shipping boxes. Perfect for sending in your contest entries! 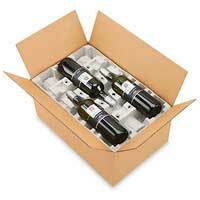 3-bottle shipping boxes are available for $9.95, 6-bottle shipping boxes are $16.95. Learn the history and techniques of the ancient art of mead making from award-winning mead makers and brewers Harold Gulbransen and Stan Sisson. 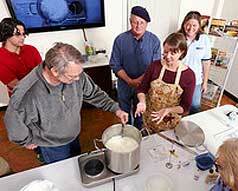 Take just the seminar or make your own 3-gallon batch of mead on site at Curds and Wine! Hands-on Mead Making includes all ingredients, use of equipment on site at Curds and Wine, bottles and personalized labels for 30 – 375 mL bottles of mead. Choice of Mountain Wildflower Honey or Clover Blend honey**. Curds and Wine now stocks several types of honey! Several sizes and varieties are available, including 3-pound jars, 5-pound jugs, 12-pound pails and even 40-pound buckets! Come by today to check it out, and you can even make an appointment to make mead on site with us (see details below). 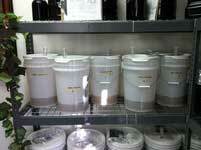 You can now make your own mead on site at Curds and Wine! Purchase your choice of honey in the shop from our great selection or bring in your own honey. The Vintning Fee of $100* includes use of our equipment on site, one-on-one instruction through the process, storage of your mead until bottling day and all cleaning and sanitizing throughout the process. Yeast and nutrients, oak if desired, corks or caps for bottling, and personalized labels are also included; bottles are not included in this price. Any additional fermentation additives (such as fruit purees, fresh fruit, or spices) must be provided by the customer or purchased separately, however, we do typically have wine pomace available if you are interested in making pyment. You can make 3, 5, or 6 gallon batches of mead by the no-heat method and bulk age your mead on site for up to 6 months before bottling. *Vintning fee can be used in combination with wine kit making to make up to 3 batches of mead, wine, or cider in one session; the Vinting fees per session are $100 vintning fee for the first batch, $50 for the second batch, and $25 for the third batch started in one session. Every $100 Vintning fee qualifies for our Vintner's Value program. The perfect size bottle for a personal popper or morning mimosas - 375 mL champagne split bottles. These bottlles can be used with large-sized crown caps, plastic stoppers or true champagne corks (coming soon!) 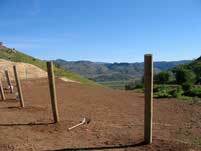 and wire cages. Also a great size for gift-giving or weddings! These are the last basic classes until November 2014. We have some exciting Advanced Cheesemaking Workshops coming up in collaboration with Venissimo Cheese on Saturday June 14th! At 10 am join us for a Goat Cheeses workshop, where we'll show you how to make fresh chevre plus aged goat cheese. The possibilities are endless! Discover all the benefits of goat milk while enjoying oodles of samples in various stages of maturation. This is a fun & interactive adventure where you'll learn what makes goat milk so special & how to make perfect chevre at home! Then at 1 pm we will cover two very different styles of cheeses -- cheddars and washed curd cheeses. Learn the process of "cheddaring" to give a sharper cheese in comparison to washing curds to produce a milder, smoother cheese. Then we'll get into specialty applications such as washing curds with beer, wine, and spirits. Enjoy oodles of samples from all over the world while learning how to make variations at home. Workshops are $75 each. Sign up for both and get a FREE lunch too! This month several outstanding kits are released: Winexpert's Oregon Pinot Noir, RJ Spagnol's Spanish Monastrell/Petit Verdot and Italian Nero d'Avola. If you missed out on preordering this outstanding wine kit we do have a few extra, contact us to check availability and to hold a kit for you. The Wine: Deep salmon color with spiced strawberry and Citrus aromas. Light to medium bodied with crisp hints of red cherry and fresh strawberry Flavors; barely off-dry, refreshing finish. Enjoy with summer salads, turkey or beef burgers or grilled stuffed peppers. The Region: Riverland, Australia The Riverland enjoys a consistent Mediterranean climate with long days of sunshine resulting in sun kissed grapes and reliable and sustainable growing conditions. Woven around the Murray River, the Riverland wine region accounts for more than 50% of South Australia's total crush. Winexpert's Limited Release rosés have always proven to be outstanding wines, perfectly balanced and refreshing. Only a limited quantity are available, contact us to reserve your kit for $119.95. We now offer frozen must orders and on-site frozen must winemaking at Curds and Wine. The latest must and juice prices and availability are online; orders are subject to availability from the warehouse, we will call in a hold for your order when received but if it is not available we will notify you and refund your payment before the final order is placed. There are limited quantities of some items, and we have no control over that availability. Frozen must comes in a 5 gallon bucket of destemmed, crushed grapes; this will yield approximately 3 gallons of finished wine. 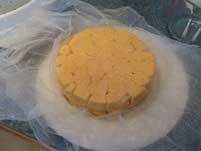 We are planning to put in the next order to arrive April 30th, orders must be in to Curds and Wine by Sunday April 20, 2014. If you have not taken our Basic Winemaking from Fresh or Frozen Grapes seminar series previously you are required to take these seminars prior to making wine on site with us (we will offer these classes again starting in July 2014). However, if you have taken our seminar series you are not required to take it again to make wine on site with frozen must or juice. We can put in frozen must or juice orders any time of year, but need to have a minimum of 10 bucket orders to place the order. 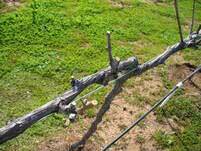 If you are interested in ordering frozen must and/or making your must into wine on site with us please contact us.